Google’s latest addition to its ever-expanding portfolio of tools and reports in Webmaster Tools is Index Status. This new report (under the Health section) shows you a variety of details about how many pages on your site Google has found and chosen to include in its index. What is immediately evident here is that in early May there was a huge jump in the number of pages Google chose to index for this particular website. This is unsurprising to me. 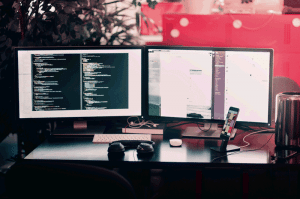 This site is an ecommerce site using faceted navigation, and around that time I made some changes to the meta robots tags I’d been using to prevent duplicate content issues. 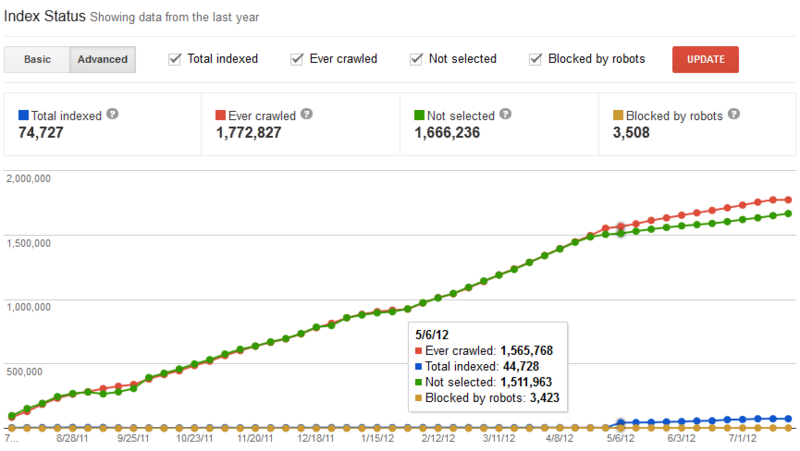 The jump in indexed pages shows that my changes resulted in many more pages being included in Google’s index. Looking at this graph we see that when I made the meta robots tag change, the amount of crawled & indexed pages jumped, but the amount of ‘Not Selected’ pages remained steady on its regular growth graph. That means my attempt to get more pages included in Google’s index without triggering a duplicate content filter was successful. More pages on the site were included but the number of Not Selected (i.e. filtered) pages did not increase accordingly. 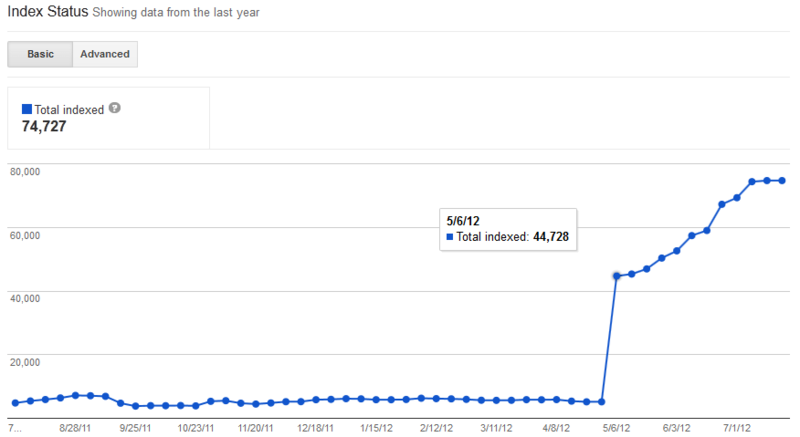 The annotation marks the date where the Index Status report shows the sudden increase in indexed pages. As you can see, there is no measurable effect on search traffic from Google from that date onward. So getting the extra pages included in Google’s index did not translate in to more search traffic. Clearly, I have more work to do. But now I know exactly where to focus my efforts: increase the relevance and authority of those additional indexed pages. What other concrete uses have you found so far for the new Index Status report?